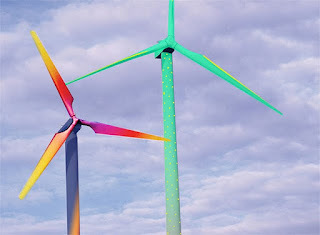 Windmills have been an outdoor fixture for centuries, but they are not so beloved by many people because of their looks. Now it’s their time to shine with Horst Glasker’s Aero Art instillation. 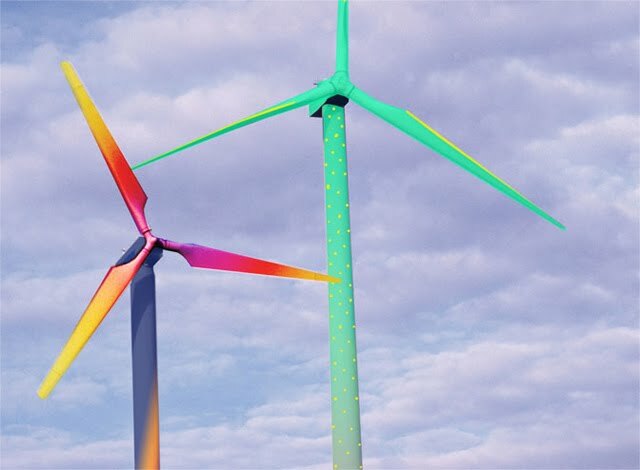 Brightly colored wind turbines shellacked in day-glow yellow and lime green pop on the landscape, appearing as bright sculptural objects to be reckoned with. “These big, colorful generators change attitudes, for they will generate not only power but an ‘emotional mantle’ and an enormously positive acceptance in those who live or work near them.” Designed by the German artist Horst Glasker, the Aero Art instillation features windmills in amazing rainbow shades like lime green and neon yellow melded into one another. 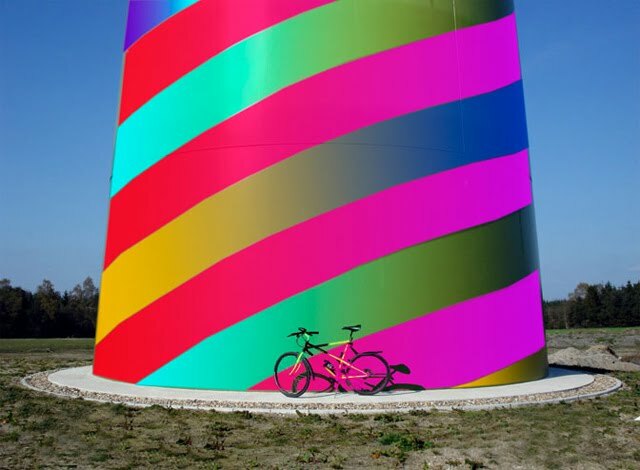 The bright colors of the instillation reflect the positive energy that windmills create each and every day.